Physical characteristics: European starlings are a purple-green iridescent, short-tailed black bird with a long thin bill that changes seasonally from black in winter to yellow during the nesting period, and buffy-to-white tips and edging on feathers. Following the fall molt, the birds are very spotted with white as a result of white-tipped body feathers. As winter continues, the white tips wear off and the birds show mostly the iridescent black with little spotting. Males have longer, narrower neck feathers and, during nesting season, a blue base to the bill. 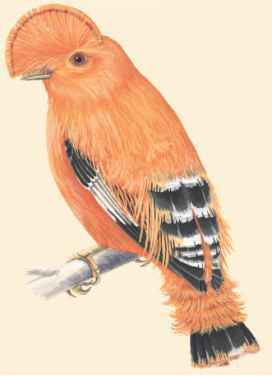 Females have a pink base to the bill. Juveniles are gray-brown with a streaked breast and dark bill. Adults are about 8.5 inches (21.6 centimeters) long, with a wingspan of about 15.5 inches (39.4 centimeters). 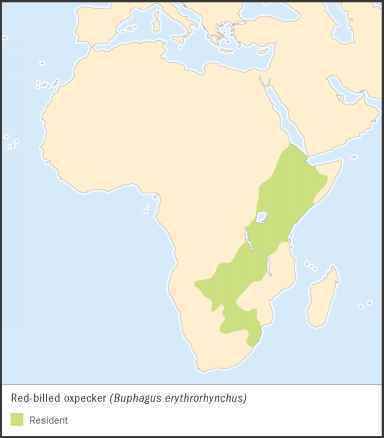 Geographic range: The birds range throughout most of temperate Eurasia from Iceland east. They have been introduced in South Africa, Polynesia, (Fiji and Tonga), Australia, New Zealand, Bermuda, North America (across both coasts, Pacific and Atlantic, and southern Alaska into Mexico), Puerto Rico, and Jamaica. Habitat: European starlings are found in open country, open woods, and urban and suburban areas. Diet: The birds eat many types of insects, other arthropods, grains, and fruits. They usually feed off the ground, and often in large flocks. March to May in the Northern Hemisphere, and September to December in South Africa. Females lay three to six pale blue eggs, and incubate them alone. The incubation period is eleven to fifteen days. 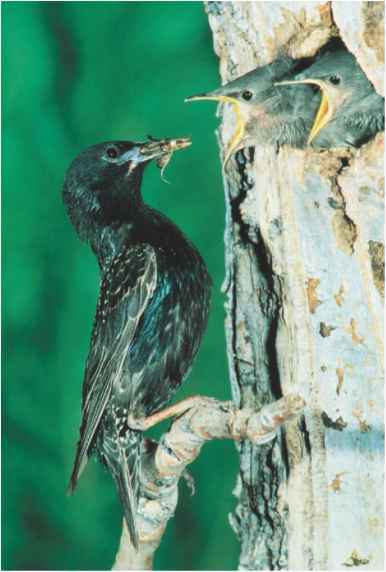 Both parents feed the young. The fledgling period is eighteen to twenty-one days, and two to three broods are produced each year. European starlings and people: European starlings eat many insect pests and weed seeds so are seen as beneficial in that respect. They are considered a pest in North America because of huge numbers within flocks, building messy nests on buildings, taking grains and fruits from agricultural lands, and competing with songbirds and woodpeckers for nest sites.